Jorge Ruiz likes to travel (who does not). But in his travels, he spends a lot of time researching, tasting the flavors of each land, discovering the best local products. “I’m always trying things,” explains the granadino. A few months ago, he converted that hobby into his profession. 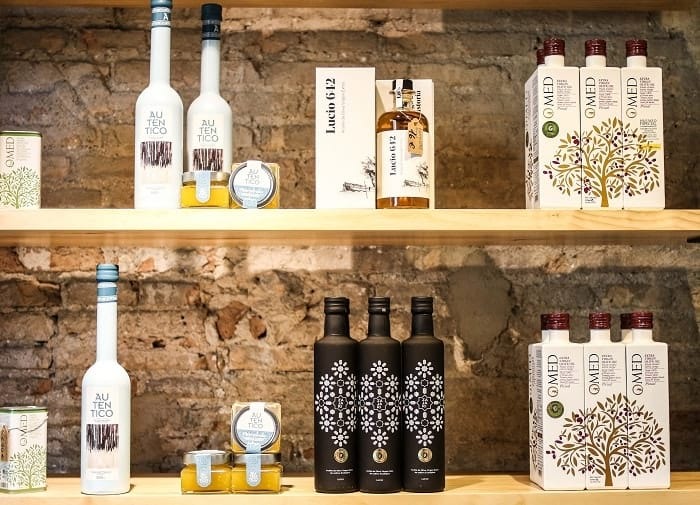 At the beginning of the year, he decided to open Granada Passion, a charming shop located in the stables of a seventeenth-century palace, with exposed brick walls and a marble column from Sierra Elvira. There he offers a great collection of products that have two things in common: they are of great quality and all are made and / or produced in the province of Granada. 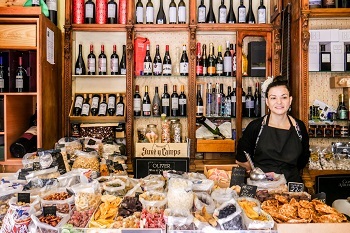 Natural wines, organic oils, goat cheeses, artisanal beers with Sierra Nevada water and cherimoya, gin, local vegetables, chocolate from Pitres, Segureño lamb ham, La Contraviesa cider, honey with Denomination of Origin, jam of rose petals or dehydrated mango are just some of the many proposals that its shelves lovingly store. 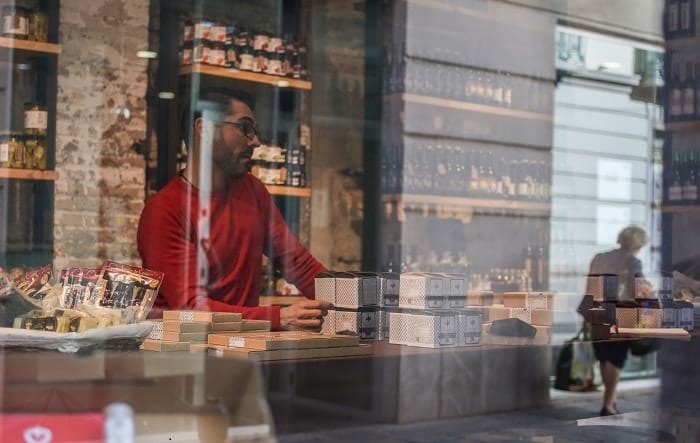 “The granadine pantry is huge,” says Jorge, who sometimes also organizes tastings so that his clients can try whatever they want before they turn it into their favorite new product. 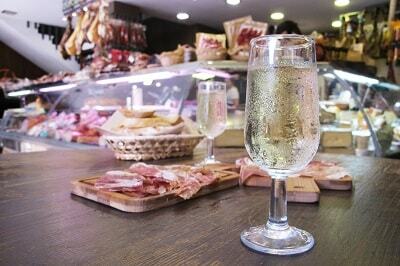 “This space is the perfect place to understand the importance of geography and seasonality in local cuisine,” says Molly Sears-Piccavey, who acts as the perfect hostess for tourists looking to get to know Granada beyond the San Nicolás observatory and other tapas where quantity exerts its tyranny over quality. This British lady has been living in Spain for 20 years, the last 11 in Granada. She is a blogger with a lot of energy and knows every corner of the city, especially if it’s related to gastronomy. For this reason, she is also the city manager of Spain Food Sherpas. Following her footsteps is synonymous with learning, but also with beginning to understand the passion that distills her adopted land. “This province has the Sierra Nevada area and the almost 3,500 meters of Mulhacén, but also the Costa Tropical at sea level. Then the plains of Granada and Huétor-Tajar, the Lecrín valley … They are very different climates that make the great variety of local products huge, “she adds as she says goodbye to Jorge and heads down San Antón Street towards Recogidas and Puerta Real de España, where a beautiful pomegranate tree is lost in traffic. 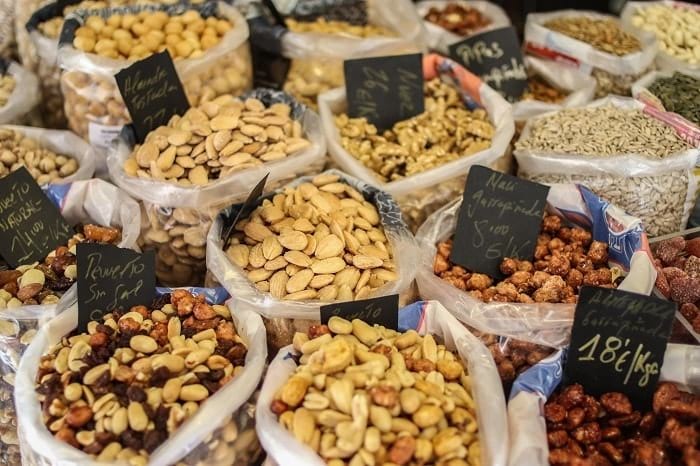 Then she goes through the central pedestrian street of Granada for places like the beautiful Bib-Rambla square, always looking for the next gastronomic stop while noting that the avocados are already in season. The route passes by a fruit street stall located at the corner of the Pescadería square with Capuchinas street converted into the perfect example of what the British tells about diversity in local production: there are walnuts, mangoes, cherimoyas, carambars, winter medlars, chestnuts, almonds, field fennel, papayas … all products made in Granada. 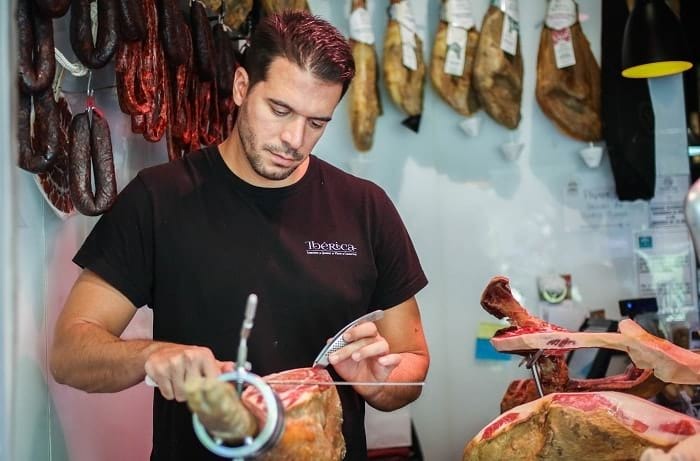 There are also some of the hams that Iván Díaz cares most about, a professional cutter who, during the weekends, you can find at weddings, openings or celebrations in a Sacromonte cave. He became famous as a cutter at the La Madraza restaurant, in the Zaidín neighborhood, until he decided to start his own business a little over a year ago. 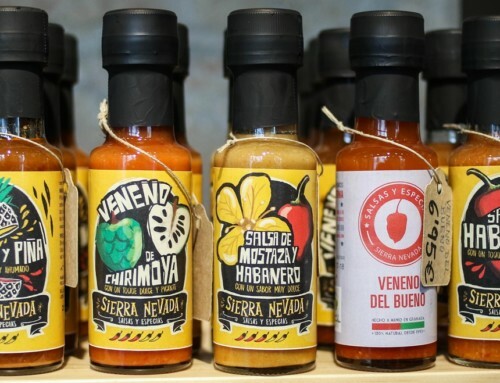 It’s called Ibérica, it is narrow and small, but a paradise for the senses thanks to its great collection of gourmet products. 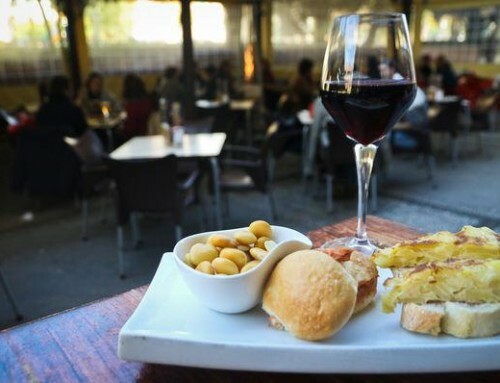 Among them, cheeses, wines,canned food preserves, “migas del pastor” or a wonderful Stilton cheese to which Ivan gives a touch of Pedro Ximénez. But if something defines this establishment, it is mainly the great hams which are cut carefully with a knife. 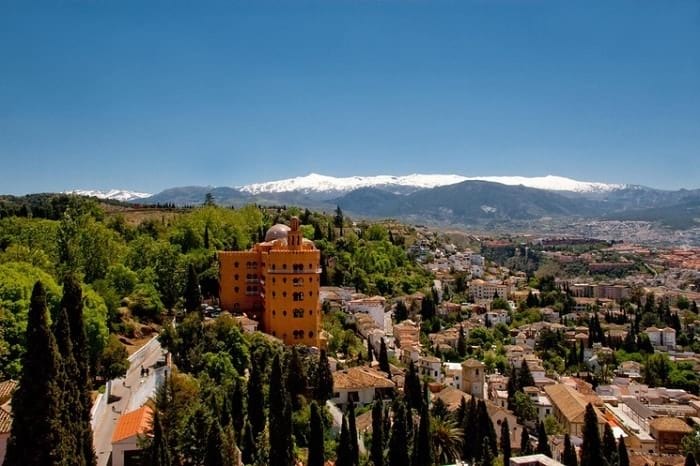 Some come from Jabugo, but many come directly from La Alpujarra, among which those cured for 24 months in Pertigos stand out or those that, in Trevélez, have been cured for up to 36 months at an altitude of almost 1,500 meters. A label next to the hoof makes it clear that they have Protected Geographical Indication. “Its taste is very special, mainly because of its quality, but also because of the proximity of the place of production, and I am one of those who think that the time or place where you drink it also has an influence on the experience of tasting it. 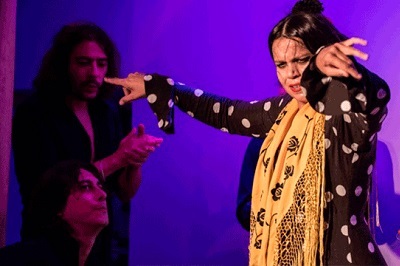 “, explains Iván, who accompanies the fine flakes with a manzanilla (a variety of fino sherry) rom Sanlúcar de Barrameda. A step away from the cathedral, next to old pensions and bread kiosks, a corner of the Plaza de la Trinidad houses a piece of history in the form of an establishment. It’s called Oliver. The few square meters it occupies live an intense hustle and bustle, a constant coming and going of people who know that they will find what they are looking for there. It is an old grocer “ultramarinos” (grocery store) born in 1850 in which, for example, it served those who arrived with ration cards in times of Civil War and the long postwar years. 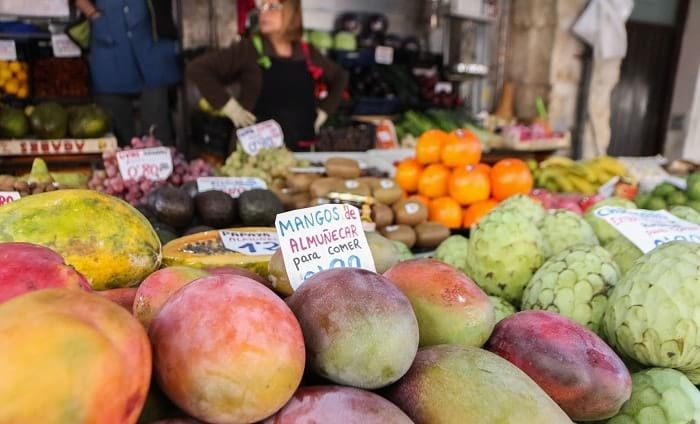 “There are almost a hundred varieties,” explains Rafael Rodríguez, whose family took over the premises a little over two decades ago. 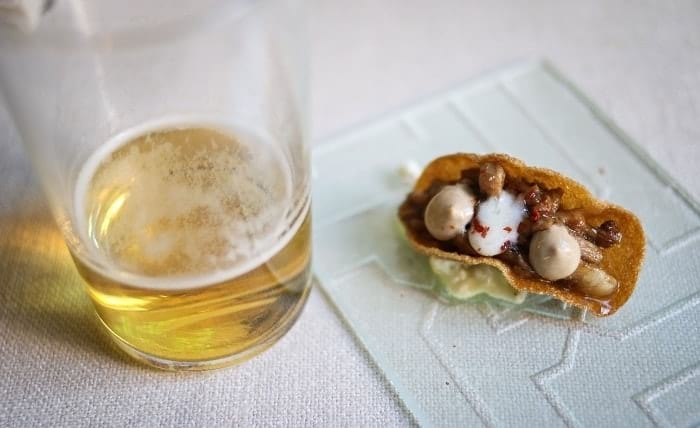 A couple of minutes away, in the Alhóndiga square, the young chef Nicolás S. Chica – barely 25 years old – is the main asset of La Milagrosa and Irreverente, a place that is two restaurants in one. Through a door you can access La Milagrosa. 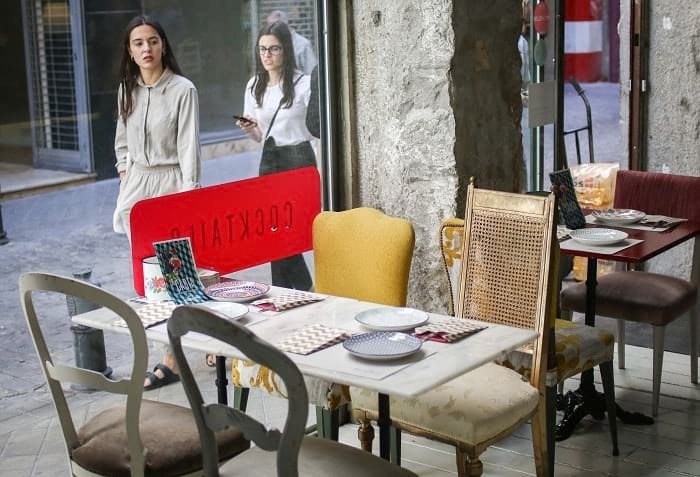 Wooden floors, colorful tables and chairs, stone pillars, large windows and electronic music make up an informal space in which we seek to update lifelong Granada dishes, which are served here with a lot of motherly love. The menu can start with a good cocktail and continue with marinated artichokes, some oxtail croquettes with kimchi, a pork rib at low temperature, some broken eggs with oxtail or a homemade tomato fritá. Pure flavor. Irreverente is accessed through another door, where the chef born in Fuentevaqueros lets himself be carried away by his creativity, always using zero-kilometer products. Lamb glazed lacado with Iberian crumbs, grapes and cream of smoked cheese or an ingot of pork trotters with garlic and cuttlefish are two of their proposals, although you can try more if you dare (you should) with the tasting menu. It is essential to taste the tapa called Legado granadino 2.0: a taco of “wantú” pasta stuffed with lamb “lojeño” (from the village Loja) lacquered in its own juice, crumbs of Extra Virgin Olive Oil of Sacromonte, goat cheese, black garlic and dried tomato from Zafarraya. A delicious snack that at the beginning of this year won the first prize in the 9th edition of the gastronomic contest Granada de Tapas. When you have a bite, you’ll know why. But not everything in the gastronomic journey is going to be eating. 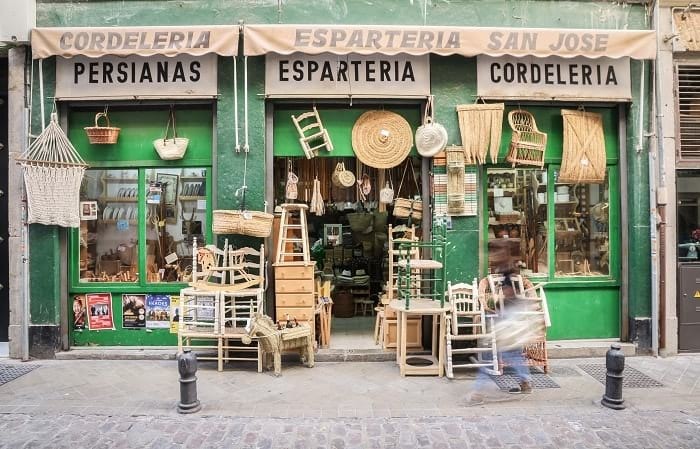 Next to La Milagrosa and Irreverente there is one of those businesses for which it is worth traveling, the Cordelería Espartería San José. Everything sold there will reach the soul and, for example, have an incredible variety of spoons for various uses, such as those that help move the crumbs in a large pan satin and are made of boxwood. And a little to the north is the Núñez Ruiz cutlery in which, it is said, the great chefs of Granada and its surroundings sharpen their knives. 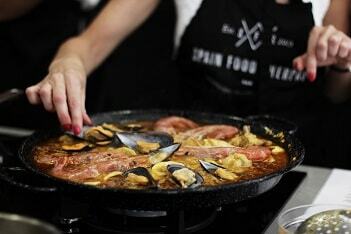 The route of Spain Food Sherpas ends in a mythical place of Granada’s gastronomy. 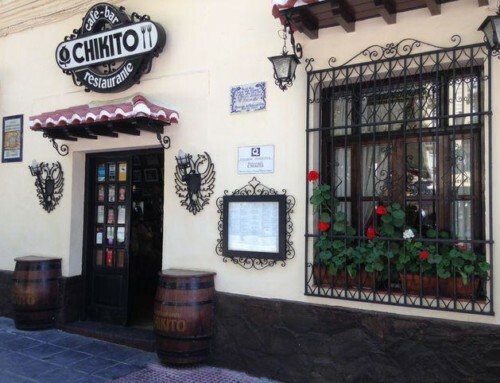 It is called Chikito and was founded by Luis Oruezábal, an Argentine soccer player who after playing in Vélez-Sarfield signed for Granada CF in the 70s. 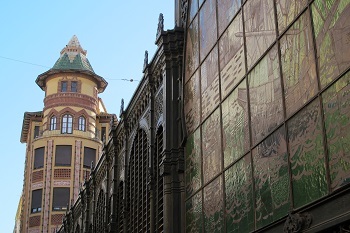 It is located in the same facilities as Café Alameda years ago, the one that was frequented by Federico García Lorca and Manuel de Falla when they were part of the literary gathering ‘El Rinconcillo’. Precisely in a corner of the dining room is a statue of Lorca, which shares space with diners and walls full of pictures of celebrities. “This is a site that is a bit of everyone and a lot of Granada,” says Daniel Oruezábal, who now runs the business. Their dishes are based on traditional food, such as the exquisite remojón granadino, based on cod, black olives, spring onion and orange, accompanied by some pomegranate seeds. 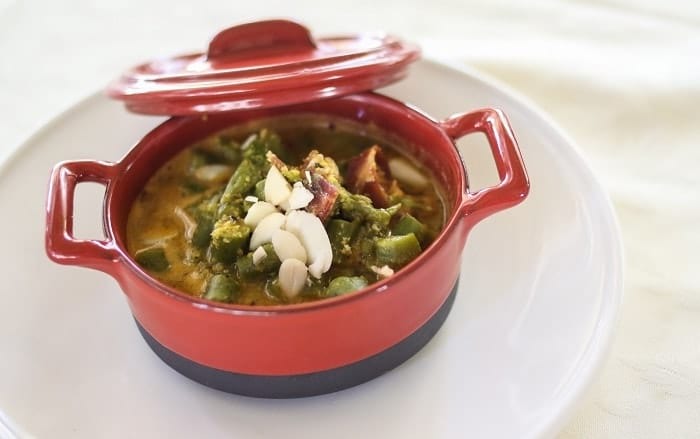 Another important dish is the asparagus casserole, served with rolled almonds and ham of the land, in addition to other proposals such as oxtail or sirloin Nazari. 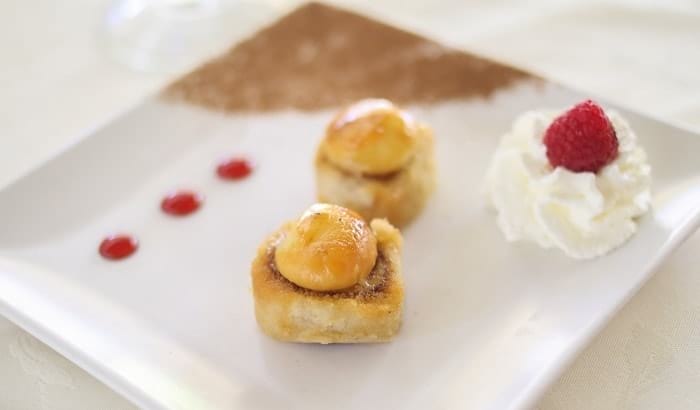 To finish, nothing better than a homemade pionono, which in Chikito they impregnate in anise to give a unique flavor to this sweet bite created at the end of the 19th century and that undoubtedly has its roots in Al Andalus. A past that, after this binge of gastronomy, it is always worthwhile to feel being carried away by the Acera del Darro and the Paseo de los Tristes towards the Albaicín, getting lost again and again through the streets of the neighborhood and observing from its multiple viewpoints how the Sun changes the reddish tones of the Alhambra in every minute. 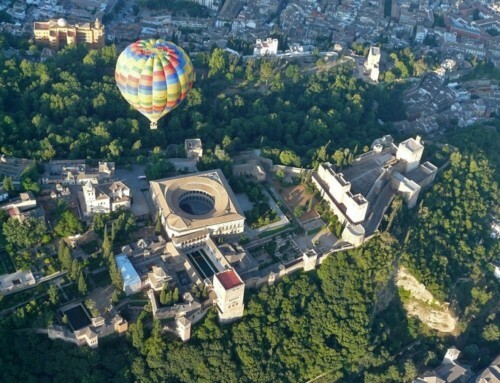 And to dream about its palaces, there’s nothing better than going into the Alhambra Palace hotel, either to enjoy its gastronomy on the panoramic terrace or to spend the night after a day marked by gastronomy. With its fifth star just released, the tranquility, luxury and design mark an accommodation that will allow you to • recover your strength to get lost in the gastronomy, culture and history of Granada: there are still a thousand secrets to discover!